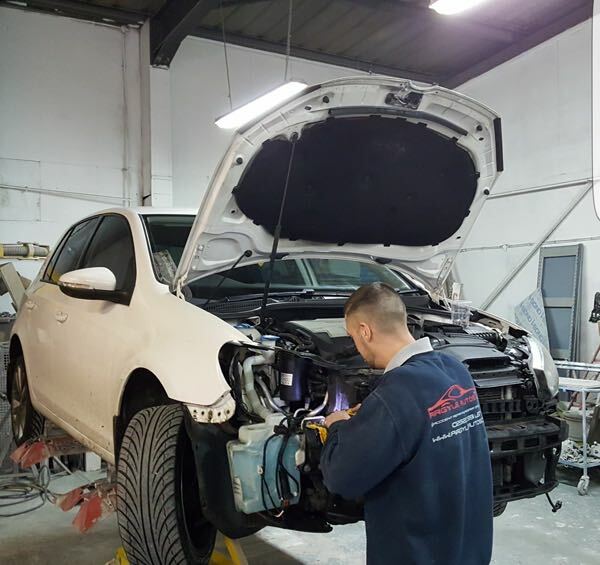 We at Argyle Autos undertake many types of car-body remedial work, whether the car has had minor damage such as a scratch, or if the car has been in a major accident. We also repair and refurbish alloy wheels if they have been buckled, curbed or generally damaged. We offer a free pick-up and drop off service, which is very popular as many of our customers tend to be busy with their work or personal activities. With over 30 years experience in accident repair covering everything from family cars, vans to specialist sports cars.